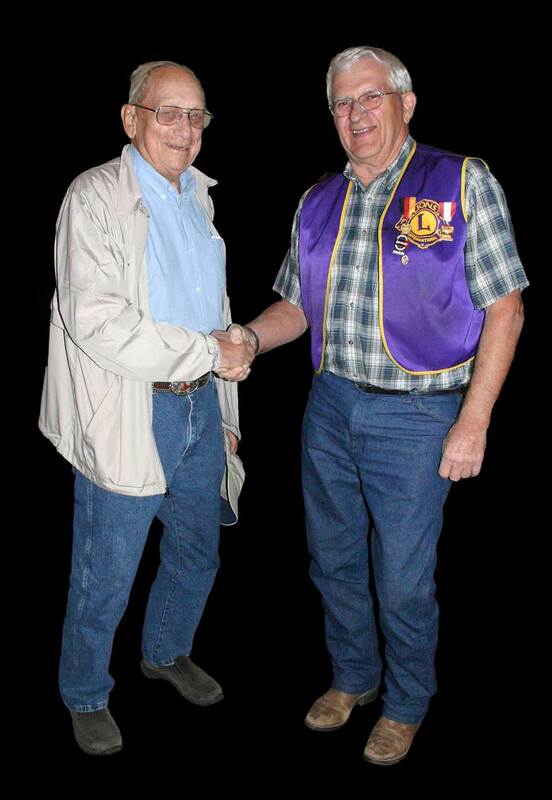 Belle Fourche Lions Club members Al Shaw and Bill Kunerth – both veterans of World War II – were among the 117 South Dakota veterans who went to Washington, D.C. late last month as part of the Honor Flight program. Last night (10/28/10) they told Lions members about that experience, and - with a bit of prodding – a bit about their military service. World War II veterans -- Bill Kunerth and Al Shaw. Honor Flight is a non-profit initiative to honor World War II veterans by transporting them to Washington, D.C. “to visit and reflect at their memorials.” The vets make the trip free of charge. More than 700 South Dakota veterans have made the trip, but several more hundred are awaiting their opportunity. While in the Capitol, veterans visit the World War II Memorial, Arlington National Cemetery, and many other memorials and landmarks. Their trips are paid for by individual and corporate donors. It’s a busy two days. Shaw gave details of the trip, beginning with an orientation meeting at the Rapid City American Legion Club, followed by their flight to Dulles Airport outside Washington, DC, and their whirlwind tour of sites ranging from the World War II Memorial and Arlington Cemetery, to the Iwo Jima Memorial and the National Air and Space Museum. We've posted a few photos from their journey in our Lions Photo Gallery. 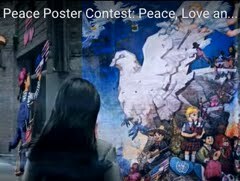 “I could’ve spent all day there,” said Shaw, making special note of the Enola Gay, the WWII vintage B-29 Superfortress that carried the atomic bomb that leveled Hiroshima, Japan during the war. Kunerth was impressed with all the memorials. In his book, The Greatest Generation, fellow South Dakota Tom Brokaw described how so many World War II veterans came back from the war and got on with their lives – seldom talking about their experiences. And so it was with Lions Kunerth and Shaw, who offered little about their war-time experiences. Kunerth allowed only that his Army division saw action on the Siegfried Line in Germany and that it was “pretty tough.” Shaw was a turret gunner on a B-24 Super Fortress flying missions from an airbase near Ipswich, England. He flew 31 missions, surpassing the short life expectancy generally recognized for that hazardous job. Our thanks to Lions Al Shaw and Bill Kunerth for their presentation – and especially for their service to our country during World War II. Thank you! 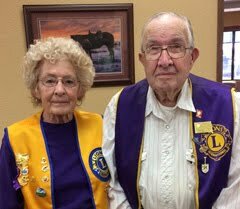 During the October 14th meeting of the Belle Fourche Lions Club, two members were recognized for recent honors bestowed upon them. Shown here are Lions Bill Kunerth (left) and Rich Drabek. Lion Kunerth was among a group of World War Two veterans selected to be flown back to Washington, D.C. in late September (2010). Lion Al Shaw (not shown here) was also on the trip. They enjoyed a remarkable reception in Rapid City and made the trek to D.C. via the "Honor Flight" program. The group was able to visit the World War Two Memorial, as well as several other memorials. Kunerth said he was most impressed with the Korean War Memorial. Thanks to Lion Kunerth, we're able to include a few photos from this event in our Lion's Photo Gallery. Lion Rich Drabek was recently tapped to receive the International President's Leadership Award. 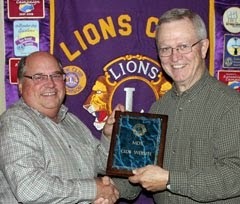 It's the latest in a long line of honors and awards earned by Lion Drabek. Congratulations to both these Lions for jobs well done! 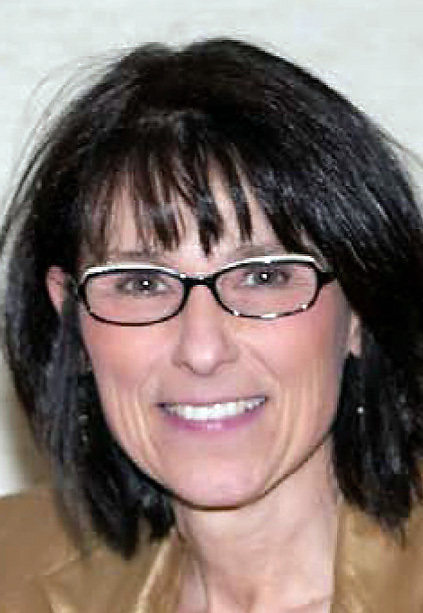 Lion President Ron Ensz shared a letter from Lion Wanda McCormick of Rapid City, District Leader Dog Chairperson for 2010-2011, which outlined the Leader Dog School program begun in 1939. Its facility near Rochester, Michigan, allows any blind person who wants to increase his or her mobility and freedom an opportunity to apply to the school and be awarded a dog guide. Through the generosity of Lions and others, there is no cost for the blind person to attend the school and obtain a Leader Dog. The cost for the training of one guide dog is $38,000. 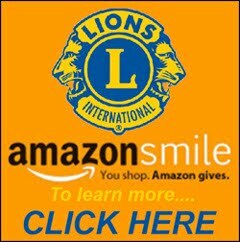 The current "Wild for Lions" campaign will allow Lions to reach more of the 10 million people in the United States who are visually impaired and in need of assistance. Lion McCormick has set a district goal of 100% participation in Leader Dog. 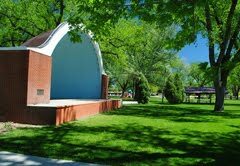 Our Belle Fourche Club voted to send $50 to support the initiative. 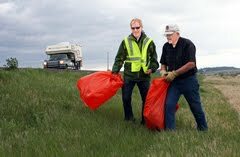 Lion Rich Drabek noted that M.J. Knobe, Executive Director of the South Dakota Lions Foundation will be in Belle Fourche next Tuesday morning (10/19/10) to visit with local Lions about Lions Foundation activities and opportunities. A scheduling conflict prohibited her attending our meeting last Thursday, but she's agreed to meet as many Lions as we can muster at 8 a.m. Tuesday at Hardees. 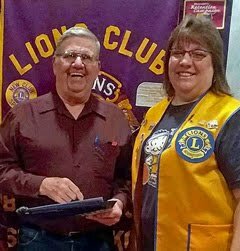 A member of the downtown Sioux Falls Lions Club, Lion Knobe also serves as president of the North America Conference of Lions Foundations (NACLF), which provides eduction and training for Lions Foundations and Eye Banks. So join us for coffee/breakfast this Tuesday morning and learn more about opportunities with the South Dakota Lions Foundation, as shared by Executive Director M.J. Knobe (shown at right). You may also want to take a "test drive" on the web site of the South Dakota Lions Foundation. 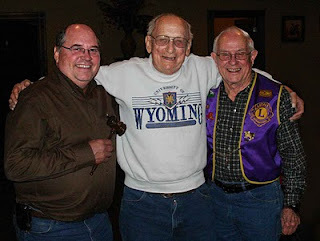 A reminder that the 2011 South Dakota Lions State Convention is scheduled for January 21-22 at The Lodge at Deadwood, located on the north edge of town. 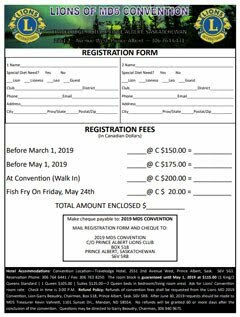 There's a registration form in the October edition of South Dakota Lion. Remember, registration fees go up after December 31st! 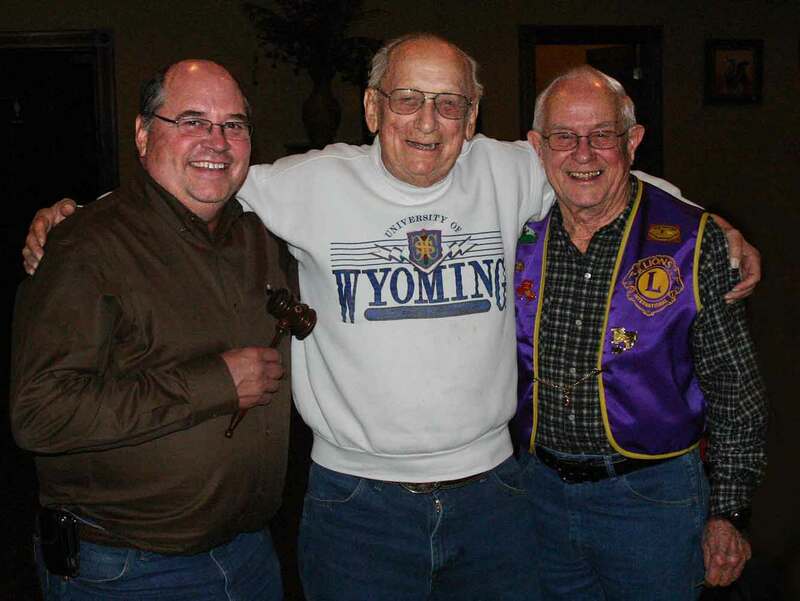 Lions President Ron Ensz has contacted members of the Belle Fourche Lions to let them know that the Belle Fourche Country Club is closed "until sometime next year." 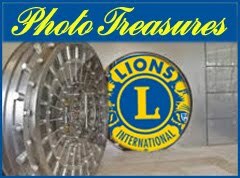 Lion Ensz says, "Our next two meetings, Thursday, October 14th and Thursday, October 28th, will be at the Branding Iron Steakhouse and Saloon one mile souith of the junction of Highways 34 and 85." The meeting will be in the private Social Club Room, which is on the west side of the building and has its own entrance.